What Brand of Bicycle do I have? I was searching for bikes and I found one identical to this one: it was a VINTAGE 1959 MURRAY SEARS FLIGHTLINER, all it was missing is the little silver bar that goes above the front fender that clips into that little silver clip on the bottom of the headtube. Some may have had headlight tanks, the one I found didn't. So it could be a 59-60? 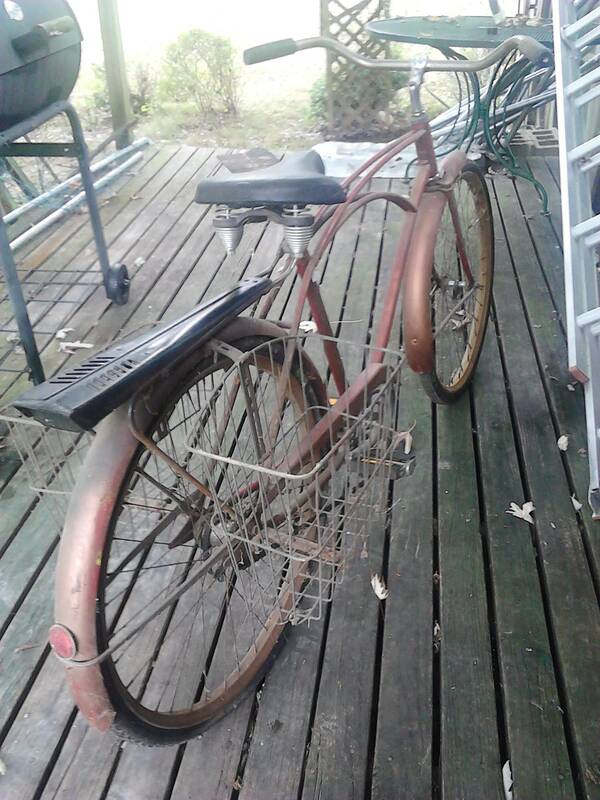 What brand is this vintage bicycle? How do you tell what brand/make/model of bike I have? What brand of bicycle is this? What brand of frame do I have?